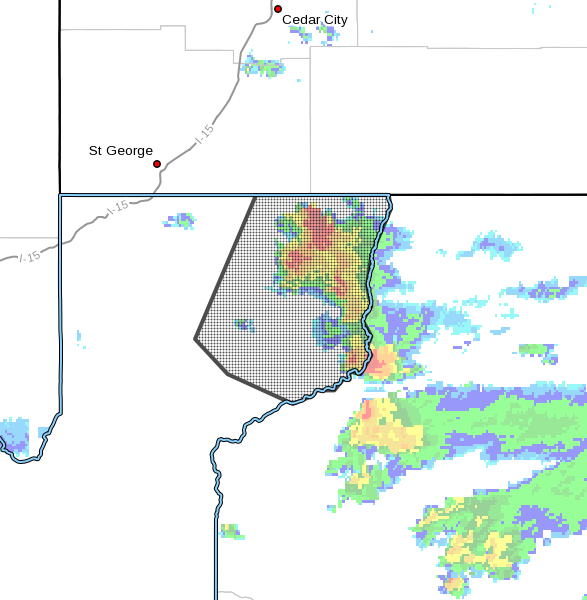 ST. GEORGE — Storms producing flooding and severe thunderstorms are expected in areas southeast of St. George Sunday, including parts of Grand Canyon National Park and Colorado City. The National Weather Service in Las Vegas has issued a flood advisory for northeastern Mohave County in northwestern Arizona in effect until 5:30 p.m. MST. 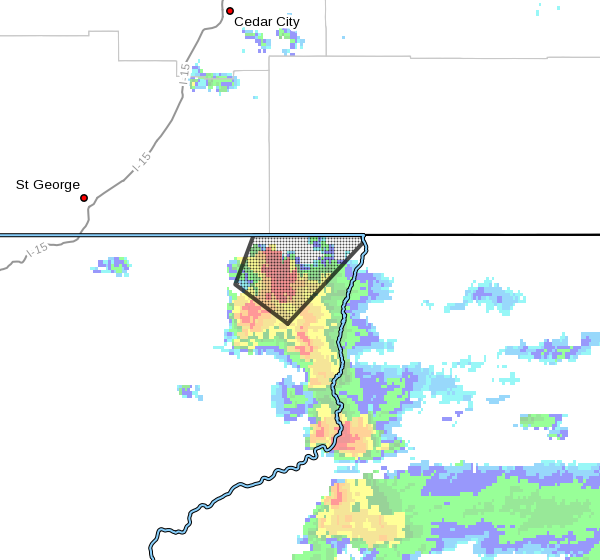 At 2:22 p.m. MST, Doppler radar indicated heavy rain due to thunderstorms in northeast Mohave County that will likely cause minor flooding in the advisory area. Some locations that will likely experience flooding include Colorado City, Pipe Spring, Kaibab, Mt. Trumbull, Mt Trumbull Loop, northern portions of Grand Canyon National Park and Tuweep. A severe thunderstorm warning for is also in effect for northeastern Mohave County in northwestern Arizona until 3:30 p.m. MST. At 2:48 p.m. MST, a severe thunderstorm was located near Kaibab, or 9 miles southeast of Colorado City, moving northeast at 20 mph. Forecasted 60 mph wind gusts and quarter size hail will likely create hazardous conditions. Hail damage to vehicles is expected. Expect wind damage to roofs, siding, and trees. Locations impacted include Pipe Spring and Kaibab. As flooding occurs, river or stream flows will elevate and ponding of water in urban or other areas is likely to occur. In thunderstorms, the National Weather Service advises moving to an interior room on the lowest floor of a building. Stop It with the stock photos .. for love of god!!!!!!!!!!!!!!!!!! !